We have applied for a grant for spay/neuter. 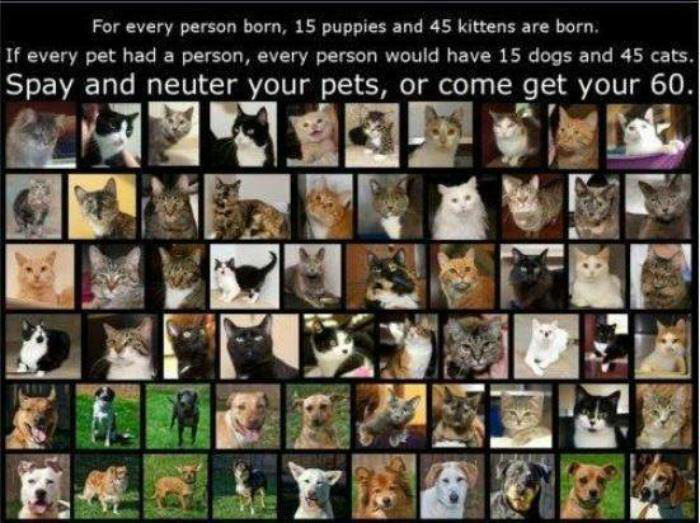 We spay or neuter ALL dogs before adopting. Learn more about spay and neuter grant assistance. The Tipton County Animal Shelter has spay-neuter vouchers available for Tipton County Residents for $25.00 to use only at Northgate Animal Hospital. The hospital requires proof of vaccinations by a vet. If the pet has not had vaccination the prices are as follows: Dog-7 in 1 $40.00, Bordatella $11.00, Rabies $12.00. Cat-FVRCP $21.00, Rabies $12.00. Recommended services prior to surgery are pain injection $16.00, pain pack to take home $7.00, and an e collar $10.00. There are additional charges for a dog who is pregnant or in heat. Northgate Animal Hospital is located at 3616 Thomas St., Memphis, TN: (901) 358-9111. Please see the Midsouth Spay & Neuter Services in Memphis for low cost spay or neuter, as well as discounts on routine vaccinations. Please help us save West Tennessee’s homeless dogs.